This practice never stops to amaze me, to nourish me, to challenge me. Since discovering it, I have fully dedicated myself to this practice and have had great teachers all along. This practice has been with me, even before I embraced it, even before I knew it existed. I lived in and with it. The rhythms and their shadows have always been part of my life. They are life. Life is the Wave. And the Wave was in me. When I was playing rock and roll music in Europe, screaming into microphones, dancing in chaos, joining, with my wailing guitar the worldwide rebellion and the dreamy revolutionary energy of the 70's. When I was performing on stage or in the streets, standing proud of our protests and rebellion, against the oppressive rules of bigots and corrupted politicians. When I rode motorcycles, betting life with an angel who worked very hard to keep my heart beating, even after countless bloody crashes and ER runs. When I was teaching children, my teachers of emotional freedom, and singing lullabies to my little boy. When I was holding my mother in my arms, in her last breath into Stillness. When I crossed the Ocean, not knowing, not planning but following some design sketched in my heart by an invisible hand to penetrate with new, strong, deep roots in this beautiful land I call home now. When I meditated and practiced holistic healing arts, massaging many sore bodies and souls, counseling lost teenagers and broken hearts. When I sat endless nights with Native American shamans chanting and drumming in sweat lodges and sacred healing ceremonies. Then, one day, I walked into a Sweat Your Prayers and everything, magically, made sense in one instant, in that very first step. The puzzle revealed itself in this very first Wave. It was the culmination of a long journey. Finally, I felt at home. To Love. With Love. For Love. Being Love. 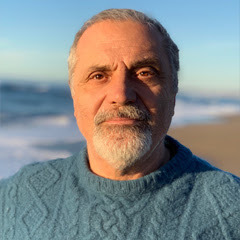 Ready for surrendering to the universal simplicity and power of the maps, exploring and accepting more than ever, my body, my sexuality, my spirituality, facing my ego, re-connecting with the ancestors, re-visiting and re-discovering my Emotions. And ultimately finding my life and love companion, and together sharing this path of service with heartfelt commitment. I follow my heart. I surrender and embrace love. 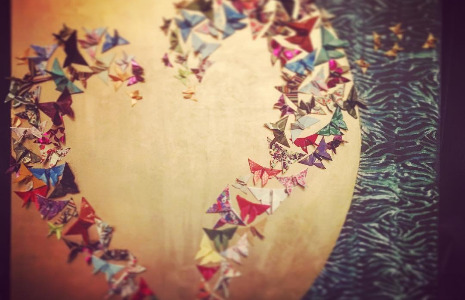 Navigating through raging storms or dead calm seas toward love, the North Star of the soul. 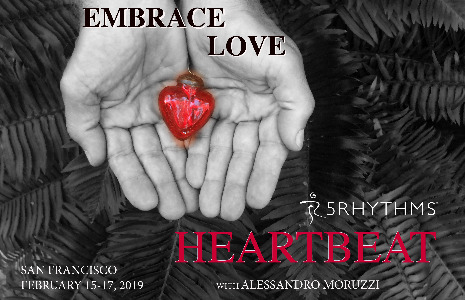 I am deeply honored and excited to share with you my next Heartbeat workshop dedicated to my San Francisco tribe: "Embrace Love". Love is my offer to the world. Honored to hold a safe container for all. With our dance, breath, music and words we will travel through our emotions, to find our own way to explore and to be with them, welcome them and surrender to our own true self. To feel support from them and get stronger and more balanced in our lives. To love more. Until the last breath. And beyond. In the early days of my 5Rhythms journey I learned something precious about the dance, the body and the heart. One dark, wet evening at a drop in class, the teacher was taking us through body parts. He invoked elbows and as I became aware of mine, tears began to flow, clean and clear, down my cheeks. Without story or resistance, just tears that had been waiting for me to pay attention to my elbows in that particular way on that one night in South London in 2001. I was left feeling refreshed, and frankly, amazed. The connection between the body and the emotions is not always so clear and bright. Emotional inertia, aka “the pain body” is an integral part of my evolving dance that I’ve learned to embrace, breathe through and move in my dancing journey of the heart. Learning to embody the Heartbeat map has taught me that feeling the essential emotions never hurts. And more than that, my emotions open a door to my Inner Essence or Innocence. Innocent fears, innocent tears, innocent stamping of feet. Innocent rage, innocent grief, innocent awkwardness... these feelings open a door to a deeper breath, letting my essence shine through. Feelings connecting body and heart, letting me know myself, allowing me to connect and give. The essential emotions of fear, anger, sadness, joy and compassion bring bright colours to my dance, leaving grey inertia behind, bringing me home to my heart of hearts. 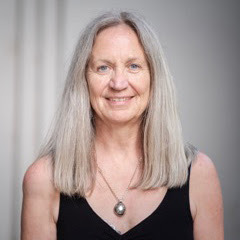 My Innocence Heartbeat Weekend will offer a space for experienced dancers to uncover more of their Inner Essence by welcoming the essential emotions to be felt and moved through the body, where their power and beauty lie. This will be a magical journey and I am excited right down to my toes in anticipation! Carnaval "Transformar el sufrimiento en arte"